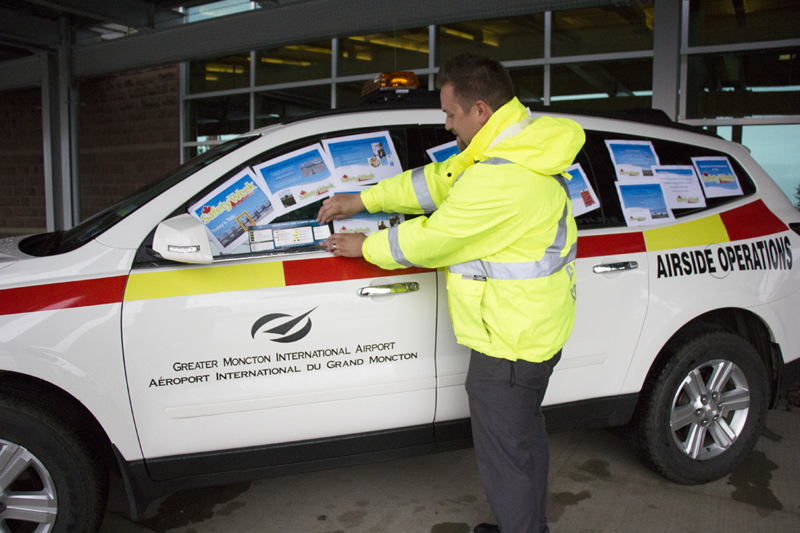 The Greater Moncton International Airport (GMIA) emphasized its commitment to the safety of its passengers, visitors and employees during Canada’s first-ever Canadian Airports Safety Week held in conjunction with 23 other airports across the country from Aug. 24-30. As part of the industry’s dedication to safety, the GMIA focused on the following daily themes during Canadian Airports Safety Week: hazard reporting (Monday), worker safety (Tuesday), security (Wednesday), airside vehicle operations (Thursday), foreign objects debris (Friday), construction safety and security (Saturday) and environment (Sunday). Canadian Airport Safety Week is an airport-led initiative to promote healthy and safe work practices among airport employees. Currently in its first year, there are 24 airports across Canada participating in the initiative: Greater Moncton International Airport, Billy Bishop Toronto City Airport, Calgary International Airport, Charlottetown Airport, Comox Valley Airport, Edmonton International Airport, Fort McMurray International Airport, Greater Sudbury Airport, Halifax Stanfield International Airport, John C. Munro Hamilton International Airport, Kamloops Airport, Kelowna International Airport, London International Airport, Northwest Regional Airport, Ottawa Macdonald–Cartier International Airport, Prince George Airport, Québec City Jean Lesage International Airport, Region of Waterloo International Airport, Saint John Airport, Saskatoon John G. Diefenbaker International Airport, St. John’s International Airport, Toronto Pearson International Airport, Vancouver International Airport and Winnipeg James Armstrong Richardson International Airport. It’s interesting what stories you hear and the connections you make after a loved one dies. My father died three years ago on Aug. 26, 2012, and I’m still surprised to hear stories from time to time. My father could be gruff at the best of times, some would even say grouchy, which would annoy me to no end but which actually endeared him to some people. As many people age, their filter melts away. If you ask them their opinion, they’ll tell you. Even if you don’t ask them, they’ll tell you. 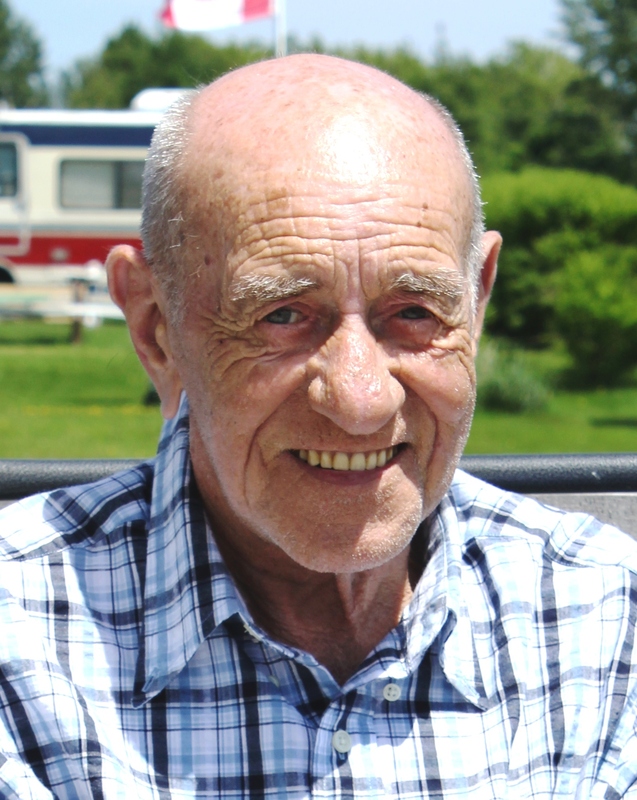 My father – Bernard “Bernie” Cormier. My father’s doctor’s assistant was one who found loved his grouchiness. I remember her telling me that she thought he was hoot. He wasn’t one to visit the doctor and tell him that there was nothing wrong. The doctor found out in blunt language what was going on with his aging body. More than a few times I just sat there with my mouth open in shock after my increasingly filter-free father would explain some new symptom to a doctor. There was no sugar-coating anything by then. I suppose that was good, though. At least no one had to figure out what the real story was. Then there was the time I took him to a dermatologist to try and figure out a lingering skin problem. The next thing I know, without being asked, he was lying stark naked on the examining room bed. “For God’s sake, Dad, she doesn’t need to see everything,” I said. His reply, “Well how is she going tell what’s wrong if I have my clothes on?” The doctor politely told him he could cover up a bit, if you get my drift, and she did eventually figure out the problem without needing to see everything. My father used to love to hang out at the Sports Rock pub in Dieppe. You could usually find him either at Tim Hortons not far down the street or at Dooly’s on Elmwood Drive. He had his favourite staff at each place. Veronique at Dooly’s could do no wrong in his eyes. And there was Nicole at Sports Rock who just loved him. In fact, my father used to talk to her young son quite a bit about fishing – a particular love of my father’s throughout his life, but one that he could no longer pursue due to declining health in his later years. 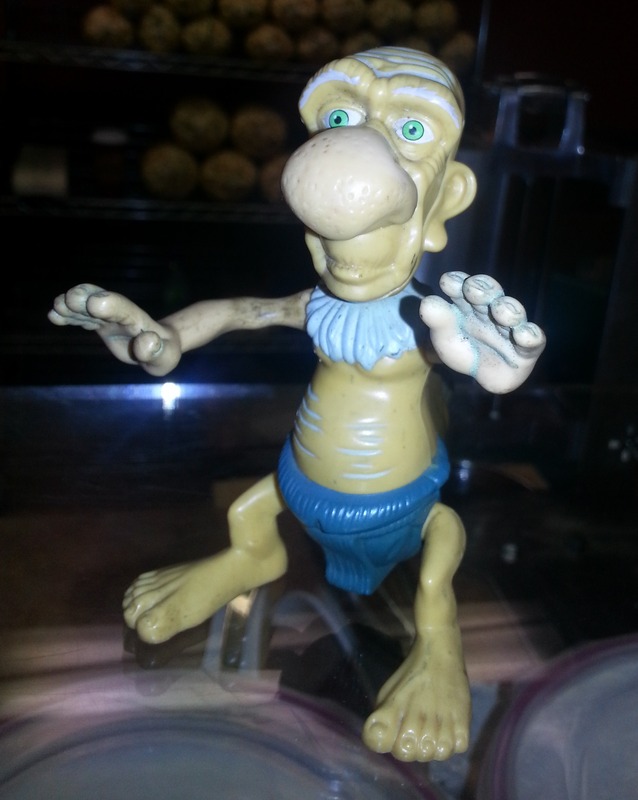 The figurine nicknamed ‘Bernie’ that was brought on vacation by Nicole and her family. Nicole and her family actually found a figurine one day that they told me looked exactly like my father, so much so that they named it Bernie, my father’s name. They even brought ‘Bernie’ on vacation with them once. The kids didn’t want to leave him behind. I saw a photo of the figurine after I found out about the story and had to admit that it bore a striking resemblance to the real-life Bernie. There was also some mysterious other waitress at Sports Rock named Olivia. My father obviously liked her because I remember him taking her Christmas presents one year. Of course, I looked at him and wondered what that was all about. Why is this man in his 70s taking Christmas presents to a young waitress? My cousin Paul passed away in July after a nearly year-long battle with cancer. Family and friends gathered shortly afterwards at Cheers Beverage Room on Brandon Street for a celebration of his life. At one point, a young lady – my cousin’s son’s girlfriend – came up to introduce herself to me. She told me she knew my father and that she used to work at Sports Rock. Her name was Olivia. She told me how fond she was of him. His grouchiness made her like him even more. As long as you laughed it off, he was great. Some of the other waitresses took him a bit too seriously and didn’t like him, but she liked him just fine. In fact, when she broke up with an old boyfriend just before Valentine’s Day and was feeling blue, my father brought her a little Valentine’s Day treat to cheer her up. Well, how could she resist not thinking the world of him after that? I told her that I remembered him mentioning ‘Olivia’ from Sports Rock, and asked her if he’d ever bought her Christmas gifts, too. She said yes, and we both laughed when I told her that I remember telling him he was crazy for buying ‘Olivia’ gifts. I hope I keep getting surprised from time to time with stories about my father. They always bring a smile to my face. 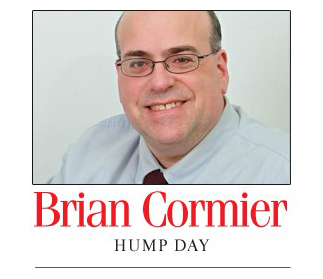 The Aug. 24 – Sept. 6, 2015, edition of Brian Cormier’s Weekly Update is out! In 2001, I was heavily involved in the provincial referendum which offered the opportunity to New Brunswickers to ‘ban’ video lottery terminals (VLTs). The referendum was the result of a 1999 provincial election promise by then-premier Bernard Lord. The arguments back then to ‘ban’ (I’m using quotation marks because you can’t ban them – you just drive them underground) the machines were that they ruined the lives of those addicted to gambling. I was on the side of industry which wanted to keep them visible, regulated and legal. Sending them underground was not the answer. The provincial government was asked point-blank which schools and hospitals would be closed with the $50-million loss in government revenue from the terminals. Moncton was also the home to the Atlantic Lottery Corporation (ALC) and large industry players such as Spielo Gaming International. Between them, they employed hundreds of well-paid people. How could Moncton continue to lay claim to ALC’s head office with such a large portion of New Brunswick-based revenue taken out of the system? How could companies such as Spielo and others continue to prosper by manufacturing machines, doing research and development and exporting internationally from a province where the very products they produced were basically thrown into the arms of the criminal element by being ‘banned’? You could almost hear the hillbilly banjos playing. For all intents and purposes, running VLTs back underground by taking off the regulations and ‘banning’ them would be exactly the same as prohibition on alcohol in the earlier part of the 20th century. It didn’t work. All the government did was transfer tax revenue out of their own coffers into the hands of organized crime. Congratulations! Stop sending all this money to the black market and organized crime. Let’s tax it and put that money to good use. I recently watched a prohibition-themed PBS documentary series on Netflix. It was fascinating. The government lost all the tax dollars, the criminals started making all the money and everyone could drink anyway. All you had to do was look around. It was just bad public policy pushed by well-meaning people who couldn’t see beyond their own myopic, utopian and naïve vision of the world. There’s a parallel in that entire story with what’s going on today with discussions surrounding the legalization of ‍marijuana. Now, I’m going to ask you all a question. Everyone together now, raise your hand if you’ve ever tried ‍ma‍‍rijuana. I’ll wait. I know there are millions of you out there reading this. OK, all done? A quick scan of the crowd shows that I’m probably the last person in the world who has never tried pot. At least that’s the way I feel sometimes. I don’t smoke cigarettes and I don’t see the attraction in smoking ‍marijuana recreationally. (It goes without saying the medical ‍marijuana is a no-brainer, at least in my books.) Besides, can you really say it doesn’t reek to high heaven? I can’t stand the smell. Sure you can eat it in baked goods for a similar effect, but the last thing I need is something that gives me the munchies. I think I have that skill down pat already. Fewer and fewer people believe that pot is a pox on society anymore. Our economies both federally and provincially are in difficulty. The only thing being accomplished by keeping ‍mari‍‍juana illegal is stocking up the driveways of criminals with luxury cars. Let’s legalize it, sell it commercially and tax it. Sure, there will still be some sold underground, but surely the safety, quality, availability and lack of stigma associated with the commercially available stuff will put a big dent in that. ‍Marijuana is legal in Colorado. According to The Cannabist, a website run by the Denver Post newspaper, the cumulative state revenue on pot (taxes, licences, etc.) from January to June 2015 was $60.7 million USD ($79.5 million CAD) – or $11.32 USD ($14.83 CAD) for every resident (5.36 million people). An admittedly overly simplistic conversion over to New Brunswick (754,000 people) for that same time period would have meant that we would have had $11.2 million more in our government’s coffers, assuming we used the same tax rate and fees as Colorado. Prohibiting alcohol and gambling only makes criminals rich. The same is happening with ‍marijuana, so why aren’t we learning from history and legalizing it? Wouldn’t it make more sense for our government to earn the money rather than handing it over to criminals while wasting tax dollars on ineffective enforcement? It’s 2015. Not many people think pot is evil anymore. It’s time to wake up and smell the weed stench. There’s a lot of money going up in that smoke – and we’re poor. It doesn’t take a genius to put two and two together. Joyeuse Fête nationale de l’Acadie! 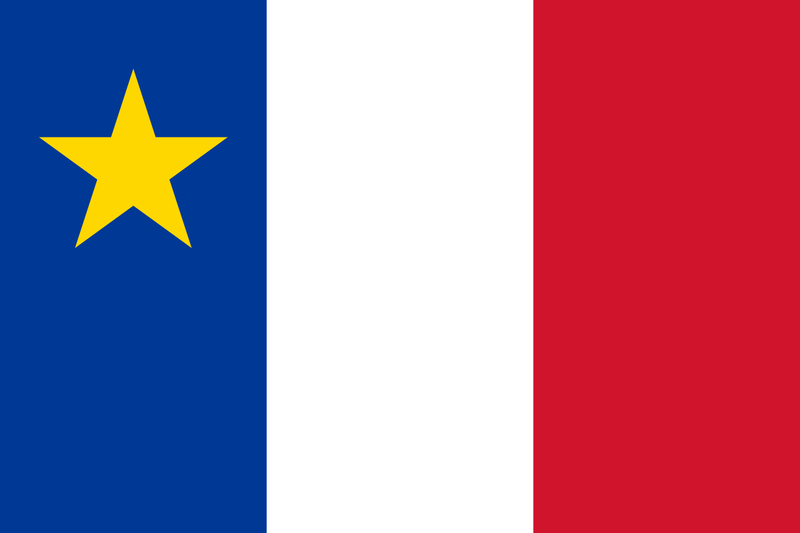 / Happy National Acadian Day!